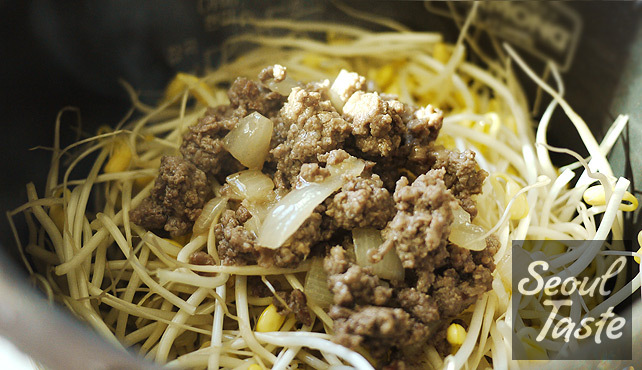 A simple Korean comfort food that you can make in your rice cooker. It's a bit like bibimbap, except that the ingredients are cooked together, so the vegetable and meat flavors actually infuse the rice. 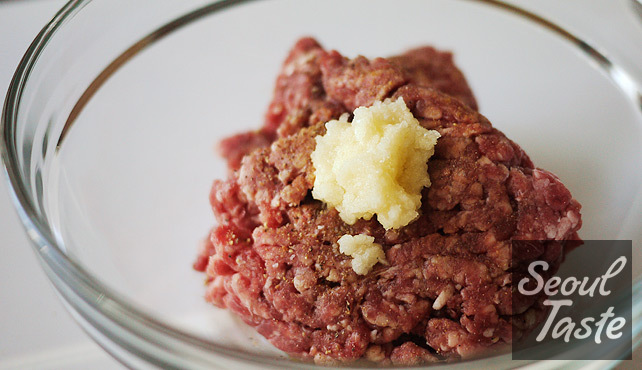 In a medium bowl, combine ground beef, mirin, 국간장, grated garlic, salt, pepper and powdered ginger. 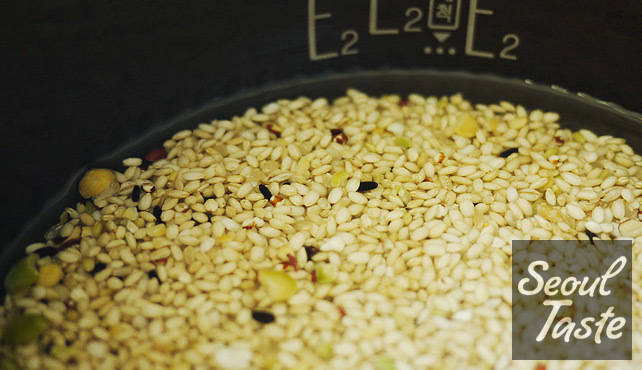 Wash rice, then add water, but use 25% less than usual. Set aside. 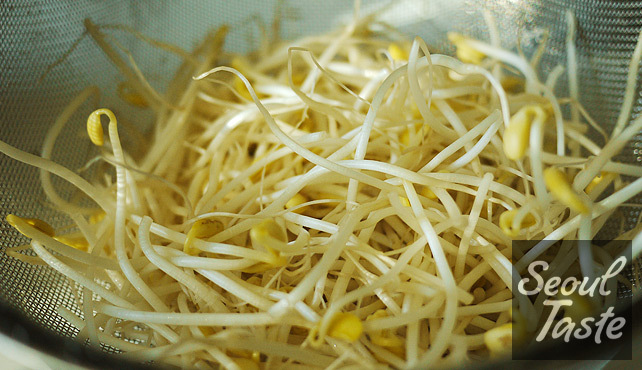 Wash soybean sprouts and drain well. 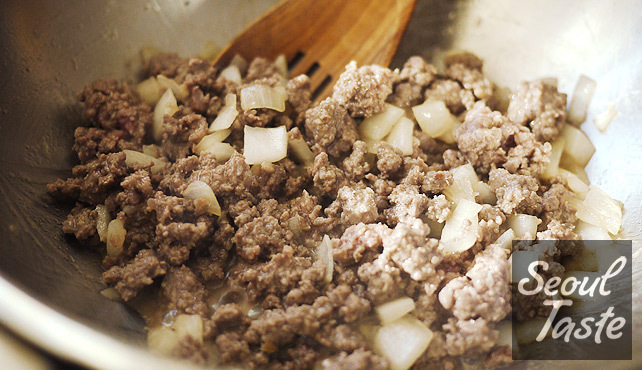 In a skillet, heat oil and brown ground beef and onions. 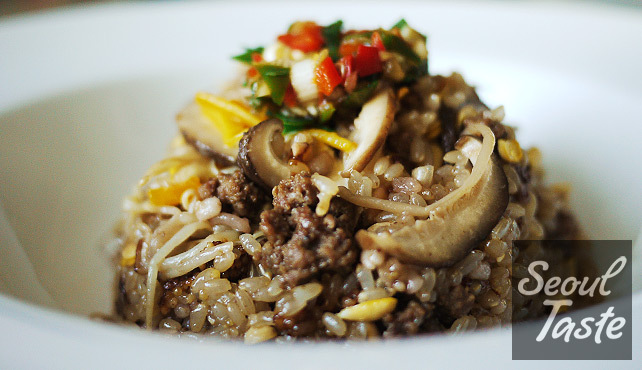 On top of the washed rice, layer soybean sprouts, then browned beef. 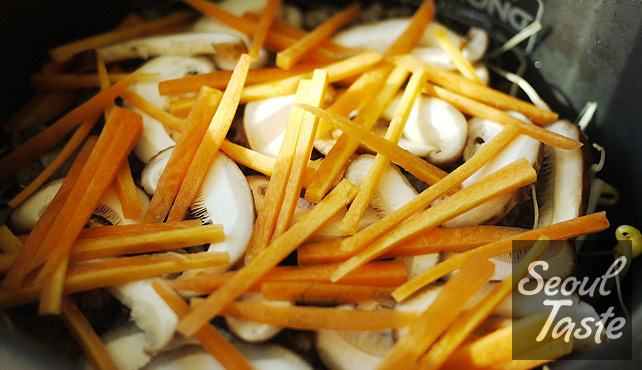 Top with optional ingredients if you have them, then cook the rice in the rice cooker the usual way. 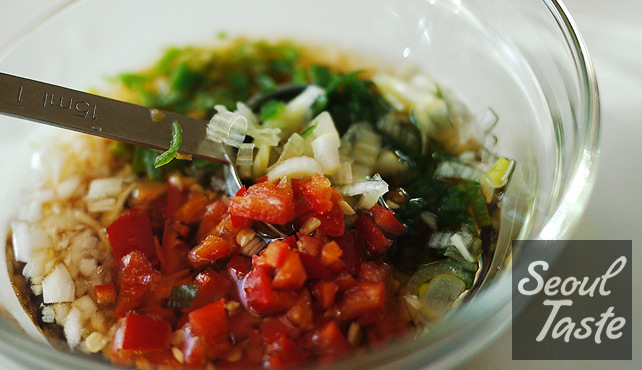 While the rice is cooking, combine all the sauce ingredients and set it aside. Serve with the sauce on the side.